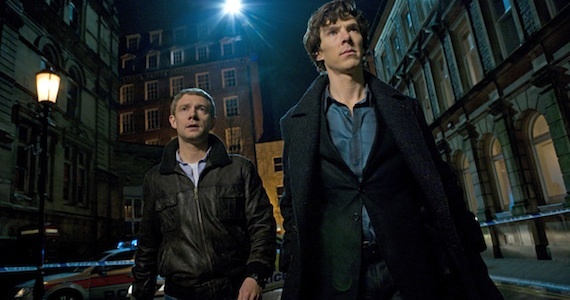 The BBC have today confirmed the airdate for the second episode of the third series of Sherlock, The Sign of Three. The episode will air on 5 January 2014 at 8.30pm to 10.00pm. The episode is written by Steven Thompson, directed by Colm McCarthy and stars Benedict Cumberbatch as Sherlock Holmes, with Martin Freeman as John Watson, Mark Gatiss as Mycroft, Rupert Graves as Inspector Lestrade, Una Stubbs as Mrs Hudson, Amanda Abbington as Mary Morstan and Louise Brealey as Molly Hooper.